L. Robinson-Condeso Ministries, Inc. is a spirit filled, preaching, teaching, prayer, counseling and prophetic Ministry as well, an Internet Radio Ministry. The ministry was birthed and began as a prayer ministry in Philadelphia, PA, with a few people in a home. Our ministry was formerly incorporated here in North Miami, FL, since 1999 and has been ministered to many people in various ways, per their needs. According to our Internet Radio stats, our Ministry has touched over 40 thousand alone, not counting those who were ministered to on one-on-one, over the years. L. Robinson-Condeso Ministries is a 501c3 organization, eligible to receive tax-deductible contribution in accordance with IRS Code section 170. And we would appreciate your gifts, it help us to expand on a more local front. She was called of God to the work of the kingdom long before she fully understood what her calling was, "chosen" for such a time as this. Her ministering includes teaching and preaching, author of two books published and others in process, as well Mini-Prayer Booklet and Poetry. She is a Internet Radio Show Host, broadcaster of two Shows/Programs, Counselor and Prophetess. She has traveled and ministered in Philadelphia, PA, Camden NJ. Helena AK, Puerto Rico, Lima, Peru, Evansville IN, and various parts of FL. 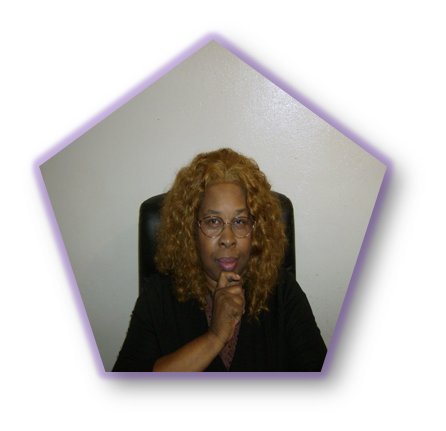 She has recently, founded a Bible School, Correspondence/Distance Learning and Online Learning Center.